Dambisa Moyo is a Zimbabwean economist, who wrote a book called “dead aid”. She doesn’t argue against the use of short term aid, but she does argue that aid is not getting to the poorest, and that only about 20¢ for every dollar that enters Zimbabwe get’s past Mugabe’s government. She claims that aid doesn’t encourage growth, self sufficiency or efficient enterprise. Rather than relying on hand outs she says countries need to borrow on markets based on credit ratings. G8 countries have often discussed the state of poorer countries with no representatives for them present, even if they frequently have Western pop stars. She argues that aid has not really done any overall good as US$1 trillion over 60 years has made no real impact on the incidence of poverty or on economic growth. Moyo claims that aid causes corruption, undermines accountability and chokes trade. This is a huge fallacy as correlation does not mean causation. Lots of money does travel to relatively corrupt countries, but that’s often because some big disaster has occurred there, such as in Nepal, Ethiopia and many others, because they simply don’t have the money or infrastructure to support everyone even without the corruption, or, like in Swaziland, the presence of corruption is so great that it’s almost the sole cause of poverty. Moyo suggests that instead of using aid money should be raised within the economy itself, by attracting foreign direct investment, reducing trade restrictions and promoting financial services to the poor. She seems to be unaware of the fact that countries don’t generally gain FDI unless they already have a decent enough economy or infrastructure to attract foreign companies. Far better methods would be to promote stability, tackle issues like climate change which are making it harder for poor countries to develop, reducing world wide corruption, changing immigration policies and promoting peace. Views like hers may become very dangerous in the near future, as President Trump is likely to take any excuse he can to completely stop aid in the future. She does not propose viable alternatives to aid; the most viable alternatives are all things which Trump would be likely to diminish and suppress, and the US’s current role in aid would be hard to overstate. The UK government has given £65 million to the Nepalese government to use in its health services. This has allowed the government to cut health care fees and allow even the very poorest to access health care. Since 1996, the maternal mortality rate has fallen by 50%, with a 1/3 reduction in infant mortality within 5 years. The UK provided £20 million in aid over five years for the Safe Motherhood Program, which trains doctors and nurses, improves healthcare facilities, provides equipment, and encourages hospital births, which are generally safer. 90% still give birth at home, but in 2009 alone, 60,000 extra women gave birth in hospitals or other specialised healthcare centres. 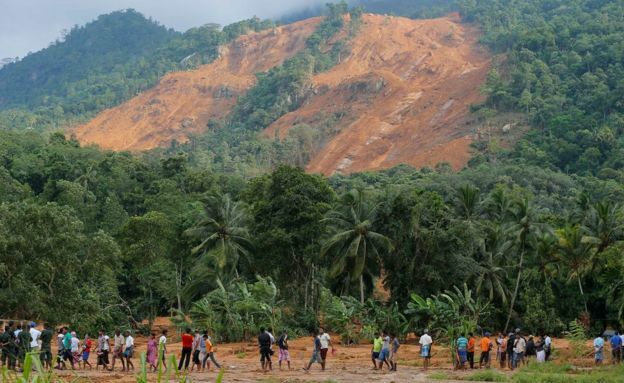 Weak rocks and steep slopes combined to make the aid operations very difficult in the area. Corruption among aid workers, particularly Indian aid workers, led to Nepalese blockades in progress, which, according to the Nepalese government, are more damaging than the earthquake itself, economically. Blockades have stopped the flow of construction materials, greatly increasing the costs of rebuilding. Almost 9,000 people were killed, between Nepal, India, Bangladesh and Tibet. Within Tibet, foreign nationals of various countries including Australia, China, India and the USA were killed. The earthquake damaged water supplies from springs down to people causing huge clean water shortages. In the Langtang valley, entire villages were wiped out by avalanches. Many Tibeto-Burman villages were destroyed, as the ethnic group like to settle high up on rocky slopes, making them especially susceptible to land slides and avalanches. Avalanches caused by tremors on mount Everest killed 18 people, making it the day with the highest fatalities on Everest. At least 60 people were injured, and some had to be taken out by rescue helicopters. Many people have taken out large loans to help fund house rebuilding, plunging them into debt. Violent crime rates, particularly against women, greatly increased. Aid agencies quickly started distributing out survival items like food, bed sheets and crude shelter-making materials (like iron sheets) to help protect people. Airports were reopened as soon as they were safe. That said, some had to be reclosed very quickly afterwards due to aftershocks. During these, people were moved out of the building and onto the runway temporarily, to minimise the risks of injury due to damaged building work. Very few of the roughly 800,000 flattened buildings have been rebuilt. Pledges of US$3×10^9 were made, but 3.5 million Nepalese people have still yet to receive more than very basic aid. The government is starting to give out about 200,000 rupees to the worst effected homes- but only 660 families have received anything so far out of 100,000 eligible, and that is no where near enough to build up new houses or recover losses to the family. Just buying sand for a single room can cost 60,000 rupees. To receive this money, 150,000 of the rupees must be spent on home-building, using a 7 step plan to build earthquake-proof homes. In theory, this would greatly reduce the impac of future earthquakes. In practice, each of the 7 steps is very expensive to locals, who have no means to pay for all of it. If they flout the building rules, they get no compensation. International aid have been trying to help the area, and on a small scale, they have worked relatively well. Where they can work without funding, such as by building small evacuation camp latrines out of bamboo and rock, they are very effective. However, corruption, and growing irritation at the corrupted system has lead to complications and delays to the extent where very little has really been achieved by aid workers, despite their best efforts. Many locals would probably be fine helping themselves to build housing, as many people are using loaned money to build their homes faster than they could on the government money, if the supply were supported, instead of being crippled by protest groups. It’s understandable why they are protesting- at a time when their country needs all the help it can sensibly receive, the government has been redirecting funding away- but their protests merely exacerbate the issues they are complaining about, at least from an outside perspective. It’s unlikely they will change anything with corruption soon.